The black history icons I learned about as a child were larger-than-life—and they prepared me to grapple with America’s racial past. I’d like to say my 12-year-old son Justice was enjoying every second of the American history lesson my wife and I were giving him. It was Independence Day weekend last summer, and we were driving up Jefferson Davis Highway from Richmond, Virginia. I pointed out the Confederate road markers along the way to teach my son about the Civil War. My wife and I took turns Googling the names and landmarks mentioned on the monuments and summarizing out loud. Justice was also on his iPhone, but not paying us much attention—I could tell by the way his fingers kept rapidly tapping the touchscreen that he was playing one of his games. I even tried the very Dad approach of using pop-culture references to grab his attention—“So Justice, this spot over here was like the Confederate Army’s no flex zone—you know, like Rae Sremmurd?”—to no avail. For a second, though, I thought perhaps it wasn’t my corny presentation that was turning Justice off, but rather the macabre details about war and slavery. But he disabused me of the notion when I brought it up—he didn’t feel threatened, likely because the reality of growing up black in America today is in many ways much scarier than the tales of rebel generals of yesteryear. That’s not to say the stories of the ghosts of Confederate militants and Klan vigilantes aren’t also haunting, or disturbing, in their own right. Despite my brief misgivings, I’d never hesitated before then when it came to sharing the ugliness of America’s racial history with my son. That’s probably because I wasn’t spooked by these kinds of stories growing up, just as my parents hadn’t been unnerved about exposing me to them. One of the ways they introduced me to these stories was through comic books, though not the kind my son reads today. 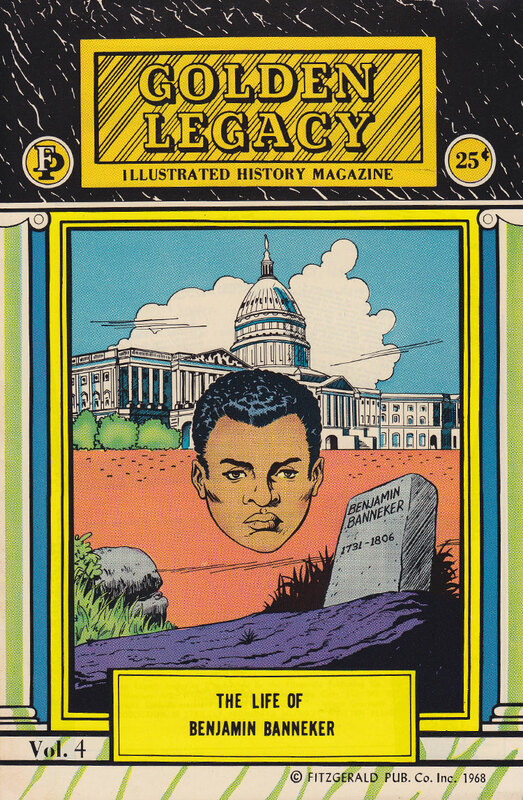 The comics of my youth weren’t from the DC or Marvel universes: The first graphic novels I ever encountered were about black figures from history, courtesy of the Golden Legacy comics first published by Bertram A. Fitzgerald, Jr. in the 1960s and ’70s. None of my peers or friends got the same introduction to comics I did, but my parents were pretty mindful about the media I consumed as a child. I guess they figured if I were going to lay eyes on storyboards filled with graphic violence, they might as well have been about black history, which itself has no shortage of savagery. I was probably in the 4th grade when my mother started bringing the books home from a five-and-dime store in the city. 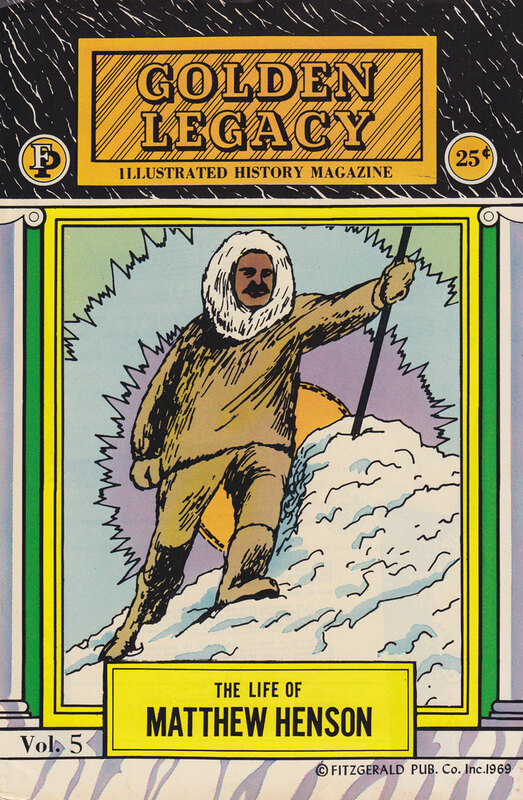 Each Golden Legacy comic was basically an animated biography of figures such as the early D.C. urban planner Benjamin Banneker and the arctic explorer Matthew Henson. (I’m pretty sure I read the whole series.) At risk of sounding all Coolie Hotep High, it’s thanks to those books that the first comic superheroes I ever knew were Crispus Attucks, Harriet Tubman, and Frederick Douglass. Of course, I knew who Superman, Batman, and Wonder Woman were, though mostly from cartoons. Those narratives were cool, but not one scene from any of their story arcs resonated with me like the scene from Golden Legacy’s The Saga of Harriet Tubman “The Moses of Her People” where a slave-master struck Tubman in the head with an iron weight. The illustrations weren’t super pulpy, but they didn’t skimp on the violence either. The artist was able to convey in that scene just how painful the iron blast was: The nasty gash it left on her face made me wince like nothing from Superman did. Yet the artist also illustrated the narrative in a way that subtly suggested the crushing blow somehow knocked supernatural powers into Tubman that allowed her to envision things many of her enslaved loved ones couldn’t—like freedom. In my mind, those scenes were like the spider bite to Peter Parker. As Tubman led group after group of enslaved black people through the Underground Railroad to liberation at the end of the book, she became the only Wonder Woman that made sense to me. After that, I didn’t want to read anything about slavery that didn’t feature Tubman’s heroic triumphs. The Golden Legacy comic Crispus Attucks and the Minutemen had the same effect on me, with its portrayal of how the Revolutionary War jumped off with a black man and his clan at the front. And after I’d read the two-part Golden Legacy series on Frederick Douglass, you couldn’t tell me I didn’t know everything that I needed to know about the Civil War. But, of course, there was much more for me to learn; the Golden Legacy comic books were only my entry point into a deeper well of knowledge. My father, an avid reader, stacked plenty of books about black history around the house that I was more than happy to gormandize as I grew older. These works were filled with the thoughts and ideas of black men like Malcolm X, Marcus Garvey, and John Henrik Clarke—all of them looking to correct the historical doctrines that sought to paint slavery as an otherwise benign and painless institution. The racial-violence quotient in this literature was far beyond anything I read or saw in the Golden Legacy stories. My mother also said she had no anxiety about my exposure to America’s racial past. I can’t remember a time in my youth when she didn’t keep a healthy crop of Ebony magazines around the house, and there was a time when I saw, in one issue, the infamous open-casket funeral picture of Emmett Till with his swollen, chewed-up face. I learned from reading the article that Till had been beaten to a pulp and lynched by two white men in Mississippi who accused the black teenager of flirting with a white woman. The story shook me up pretty badly, but it didn’t cause my mother to start stashing the Ebonys away. When I spoke to her about this recently, she told me she was more concerned about me reading the Encyclopedia Brown series, because of “all those ghouls and monsters” in the books. Maybe these childhood experiences were why I had no qualms last summer about pulling over on Jefferson Davis Highway to take my son to view one of the Confederate memorials up close. I risked scaring or scarring him by providing the context for what we were examining: the lynchings, the whippings, the Fugitive Slave Act, the drapetomania enslaved blacks were diagnosed with when they tried to run away from it all. Justice didn’t seem traumatized at all, though. In fact, it seemed to finally be piquing his interest, possibly even piloting some small rage in him. After all, my son was coming up in the age of Trayvon Martin, Michael Brown, Sandra Bland, and the Charleston Nine. In the end, there’s very little I can do to shield him from those graphics. The ongoing chronicles of American racial terror are something few, if any, black families have the luxury of avoiding.